Bingo is a huge business and without even realising, it's literally everywhere. A simple search online will bring up a multitude of websites, or details about land-based venues; and you're bound to see ads pop up on social media or during ad breaks on TV. But it actually appears in pop culture a fair bit too. 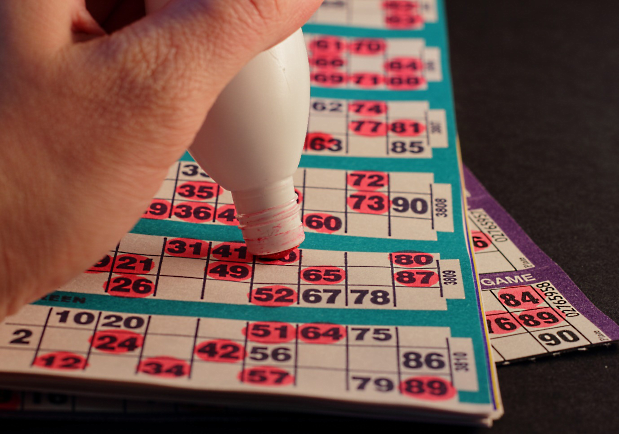 Whether it's radio, TV or film, bingo is all around us and is as popular as ever. Here, we will take a look at how bingo has appeared in pop culture over the years. But if you fancy a game in the meantime, check out: https://bingo.paddypower.com/. Fans of BBC Radio 1 will know that presenter Scott Mills runs his own radio game show, Innuendo Bingo. The game involves the DJ playing clips from other radio or TV shows where the content can be misconstrued (hence the name). The game is played with a celebrity guest who has a mouthful of water and the aim of the game is to hit the opponent with the water which spurts out through laughter. The game recently returned after a hiatus and although it's not really anything like the bingo we know and love, we'll count it. Never mind actually recreating a bingo game to a TV show – reality TV programmes work best for that, by the way – bingo has appeared on our screens in a number of ways. Bob's Full House was televised between 1984 and 1990 on BBC1 and actually went international with Finland, Germany, Greece, Portugal and USA all transmitting their own versions. The premise of the quiz show was taken from bingo – with four players given separate cards and they had to answer questions correctly to light up their numbers. Round one saw players looking to light up all four corners; in round two, they needed to light up the middle line; while round three was of course the full house. There were prizes after each round and any players who hadn't yet received something, went home with a consolation hamper. Lucky Numbers was another bingo-based show, televised on ITV between 1995 and 1997 and presented by former-bingo caller, Shane Richie. Like Bob's Full House, the contestants had bingo cards with numbers on and every correct answer in the quiz, saw them light up a number. Again, the rounds were the same (four corners; middle row; full house) and the final round saw a cash dash, whereby the winner gambled as much of their cash as they wished and had to get five-in-a-row on a 25-square game board. Eyes Down was a two-series comedy show starring Paul O'Grady as Ray Temple, the manager of a bingo hall in – you guessed it – Liverpool. But Ray hated his job, his staff, the players, in fact, everyone and everything. The programme centred around the staff, including Christine the cook, Martin the number checker, Bobby the repair man and Mary the cleaner. King of the Bingo Game (1999) – tells the story of bingo fan, Sonny, who plays with the hopes of winning big to look after his impoverished family during The Great Depression in New York. House (2000) – a small bingo hall is threatened by the opening of the country's largest bingo hall nearby. Bingo (2003) – a short film set in an old people's home, during a game of bingo. But told from the point of view of one of the workers.